Asus ZenFone 2 to have three variants in its Philippine launch, which version to buy? Asus may have the three Zenfone 2 variants released in the country! So which one to buy? Check out our detailed post. Asus ZenFone 2 has been one of the most anticipated handsets this season ever since its announcement in the last Consumer Electronics Show. The Zenfone 2 is the Taiwanese outfit’s answer to the popular Meizu M1 Note, Lenovo K3 Note and a pack of Xiaomi handsets. The device’s heavily lauded feature is its beefy 4GB of RAM; but did you know that the handset will come in three versions? Unfortunately, not all three variants will pack the 4GB of RAM. The lower-end model is the Asus ZenFone 2 ZE500CL which steps into the current ZenFone 5's shoes. This handset will frame a 5-inch HD display with 1280 x 720p and 2GB of RAM. One of its distinguishing factors is that it will carry an Intel Atom Z2560 mobile chipset with dual-core processor. The other variant crosses the phablet category with its 5.5-inch display. 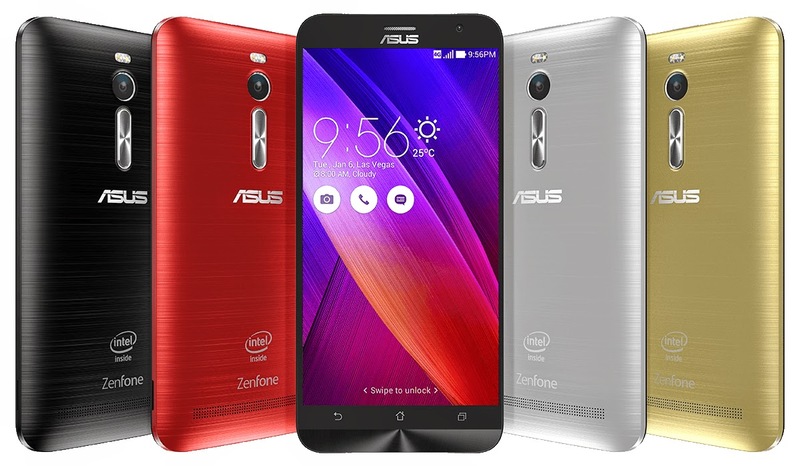 The Asus ZenFone 2 ZE550ML touts a quad-core Intel Atom Z3560 chipset and 2GB of RAM. On the camera-front, it will pack a 13-megapixel camera with dual-LED flash and a 5-megapixel front camera. Lastly, the higher-end Asus ZenFone 2 ZE551ML is the bearer of the 4GB of RAM. It also packs a 5.5-inch display with a full HD panel. The handset runs on a more capable 2.3-gigahertz Intel Atom Z3580 SoC with NFC connectivity. So what Asus Zenfone 2 variant to buy? In my honest opinion, I'll gun for the ZE551ML version due to the fact that it has a beefy 4GB of RAM and a stunning full HD display. The budget conscious who wants a big screen real estate would want to settle for the ZE550ML. Lastly, if you just wanted to experience the Asus Zenfone 2 in a compact form or if you would prefer for smaller phones, the ZE500CL is a good choice. The Asus ZenFone 2 has not been officially released in the country. Currently, it is set to have an Asian release this month in India and Malaysia. Update: Asus will launch its Zenfone 2 models in the Philippines on 10 May 2015. Two models will be available in PH- the ZE551ML and ZE500CL. The former will be available in two variants, 16GB ROM + 2GB RAM and 32GB ROM + 4GB RAM combos. You can buy these Zenfone 2 smartphones on the online shoppingwebsite Lazada after the launch. Pinoy Metro Geek: Asus ZenFone 2 to have three variants in its Philippine launch, which version to buy?